The Brompton front luggage system is quite brilliant in design & operation. Robinson, my first Brompton, came with a C bag & it gets lots of use. When Ralph, my second Brompton, came along & I also setup the Bromptons with on-board tools & bidon cages, it was time for a second luggage bag – but one of a smaller size. In my research the Ortlieb Mini-O bag seemed ideal but I found it was a teensy bit small for an iPad. Rather than use this as justification for purchasing an iPad Mini along with a Mini-O bag, I looked at what I could adapt. I found a handle-bar mount bag that would fit my iPad, camera, etc & then fabricated an alloy adapter plate to attach to the bag’s support system. Wow, Ian! Stunning mounting plate! Care to write up a DIY for those of us less gifted in the metal-working department? Brilliant solution to the Mini-O problem; my Galaxy doesn’t fit well in the Ortlieb bag, either, so I, too, passed on the original. Love your blog, and looking forward to reading it ongoing! Thanks Diarist. Not so sure about the DIY, it depends too much on the bag chosen – & “next time” I’ll aim for your solution of a cut-down Brompton S frame. Funny but I look at some engineering photos & can see what goes on, although when it comes to sewing projects I have to leave it to the experts. Your Brompton is beautiful! 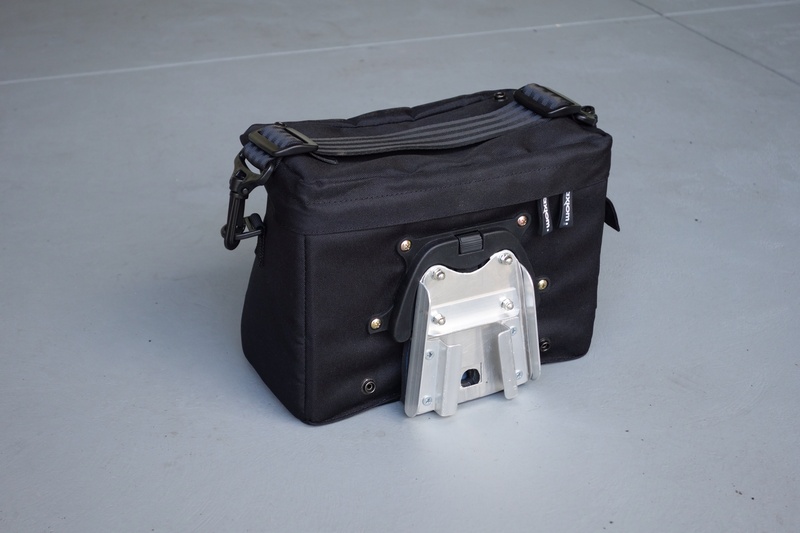 I love the modifications you have made (rear hub, relaced spokes, new brake levers and shifter, and of course this realy cool bag!) 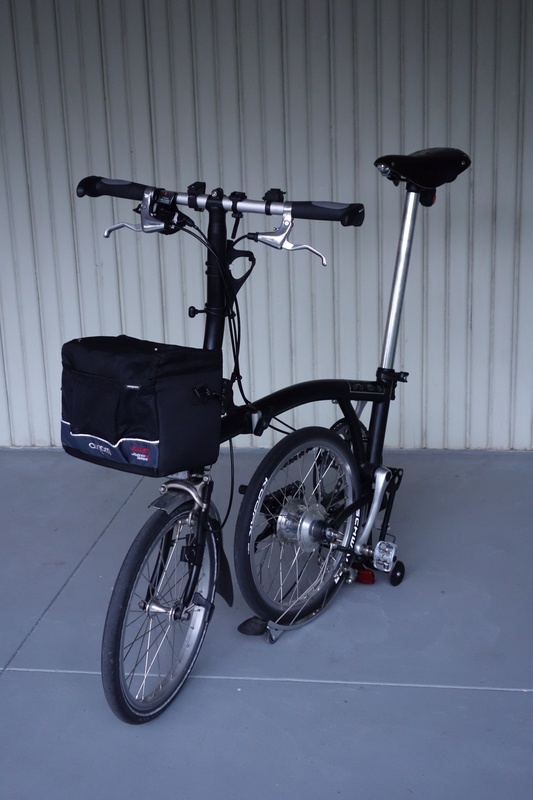 I have two Bromptons – see http://capetownbrompton.tumbkr.com but I am nowhere near as creative and handy as you are. I also have a lovely old Moutlon that I use quite a bit. Another lovely bike with small wheels and a ‘separable’ frame. Thanks for the great blog. I am reading my way through your posts on a rainy Cape Town morning. Thanks Dion, I’ve been seeing snippets of your adventures but was unaware of your blog. Well done. Beautiful work! Love your blog. I’m looking to make myself a front bracket mount to sit on the brompton front block. could you share what you’ve learned from your updated 2.3 version of your mounts?